Hello everyone, and welcome to #Day49 in our #DisneyWorldCountdown series! We’ve seen some of everything so far, and today we are taking a look at Mission: Space – the pavilion in Future World that is also home to the attraction that simulates your launch into space! The picture above is courtesy our friends at Disney Parks, and the red line you see is the actual trail of the SpaceX Rocket that launched to go to the International Space Station in 2012. The photographer, Matt Stroshane, did an incredible job capturing the real life launch with the attraction, didn’t he? But enough about me — what about you? 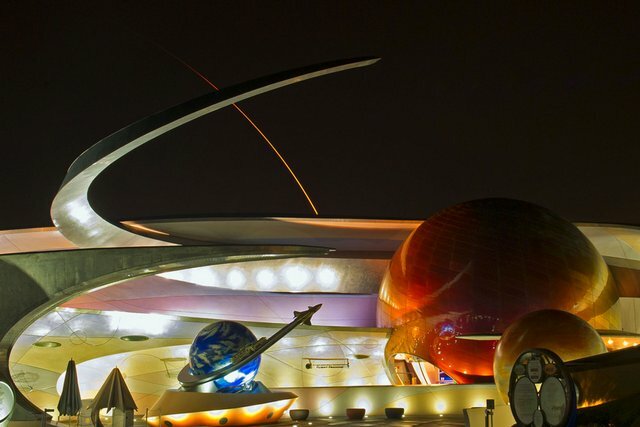 Do you and your family like Mission SPACE, or do you skip it in your pursuit for something else? Let me know in the comments, and thank you for stopping by today! Hello my brothers and sisters in Christ, and welcome to this week’s Prayers for the Week post! Last week reminded us that, despite the sin with which we live, and our shouts of Crucify Him, despite all of that, Jesus conquered sin and death for us, and He is Risen! If there is any takeaway from last week, it should be that we all take time to remember that Our Lord loves us, and wants the best for us. The best way of doing and remembering that is by turning to God in our daily walk. 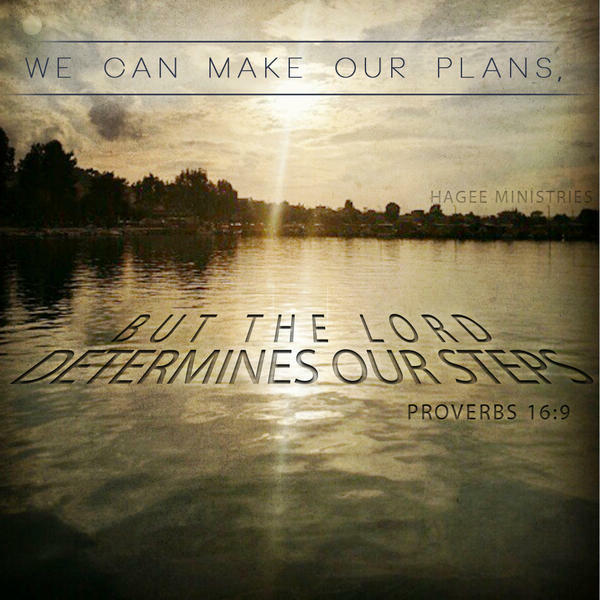 Today in my YouVersion Bible App verse of the day, Proverbs 16:9 was displayed. What a great verse! It is especially valid today, because Cindy and I made the decision to trade out our old car that needed a lot of work — more than it was worth — and get a new car that will last us several years. We thought about it on our own, we talked about going this way versus that way for at least a month, we prayed about it, and in the end, we decided to make the decision to go with a new car, so that’s what we did. It was while I was in the dealership today that I saw that verse, and I immediately knew that I had taken the path that I needed to take, and that God had directed my steps appropriately. My friends, one thing that I really need to improve on in my daily walk with the Lord is to call on Him a lot more than I do. Today was a good example of listening to what He would have me do — but I need to rely on Him every day, and for much more mundane things than purchasing a car. The more I do that, the closer I will be with God. My prayer for you is that you would also take the time to rely on God, ask Him what is best for you in life decisions, and listen — don’t just ask and ignore the answer, like I often do — ask Him, wait, listen to what your heart is telling you, and that will lead you to what God is telling you to do. Now, please take time and read and pray for our requests, and thank you for doing so each and every week! God Bless You all! Just wanted to let you know that he was released from the hospital on Tuesday (after 7 long months) and he’s doing great at home! Mom, Dad, brother Max and even the dog look so happy! Thank you again for all of your thoughts and prayers. Unfortunately, one of the families they met during their stay at the hospital was not so fortunate this week. Their 3 month old daughter passed away from the same heart condition. This is not the first family they have met that has suffered this tragedy. Makes us realize even more how fortunate we are to have Ryan with us. Please pass along our thanks to everyone that you have shared Ryan’s story with. I know words can never be thanks enough, but THANK YOU! Of course, praises to God for Ryan are mingled with prayers for God’s Peace, Comfort, Strength, and Love to descend upon all of those families that were not as fortunate with their children. We know that their little ones are safe with God, that they have no more problems, but that doesn’t always help for those of us that are left behind. Please pray for these families, the nameless ones that we don’t know, as they struggle with their loss. Also, please continue to lift up Kourtney and her family in their daily challenges. Thank you all for your dedication to prayer — it means so much to me, and to all of these people that you pray for also! Thank you Mike, you are so eloquent and I can hear the prayers in your voice. I can only imagine the beautiful sound of the prayers of the saints being lifted continuously to God every moment of every day. Someday we shall hear it! Two years ago Kevin and I made a long 9 hour drive from Hershey, PA to Charlotte, NC. I experienced for the first time what my husband was like as a doctor. He kept me calm, delegated what needed to happen next, and hid from me what he thought could be true…irrevocable damage to my sister’s brain. And, that whole long trip, for one of the first times in my life, I didn’t worry. I didn’t worry because GOD didn’t let me worry. HE was present the whole time. It’s now been two years, and my sister Ally is thriving! I couldn’t be more proud of her. And most of all, I can not be more thankful for Jesus, His presence, His love and His grace. Love you more than words Gracie! Love you forever Jesus!So many praises — for her husband’s skill as a doctor, the way he was able to keep his wife calm and collected, for the safe 9 hour journey for them and the 1 hour journey for her parents, but most of all, huge praises for God for being there for them that day, and for the witness that they have become for Him. Russ, for guiding us and leading us each week. Jim, for being the #2 man, and keeping us all straight and organized each week. Hardin, my Brother-in-Christ, for leading our small group. James, for helping out Hardin with the weekly communications in our group. Mark, for praying for me each week and hearing and praying over my prayer requests. My good buddy Cullen, for working the door with me each week, and for ALWAYS having a smile on his face and a laugh in his heart. Lastly, but by no means least, the other men in my small group — it has been my absolute pleasure in getting to know each of you, to pray with you, for you, and to walk with you as we each walk our path with God. My friends, isn’t it amazing how uplifting it is to our Spirit when we hear of how God is working on people’s lives each and every day?! Sometimes I shed tears just reading these words because it is a direct reminder to me of just how incredible God is, and that He loved me enough to send His son Jesus to die for my sins — my disgusting, selfishly motived sins! Thank you God, I love You!